Newport Beach, Calif., - January 23, 2018 – Paw Prints in the Sand Animal Rescue, a 501(c)(3) nonprofit animal welfare organization, today announced Murray’s Purpose, a new program dedicated to providing hospice care for at-risk senior pets in local Southern California kill shelters. Murray’s Purpose was developed in memory of Murray, a 12-year-old mastiff who suffered from advanced lymphoma. 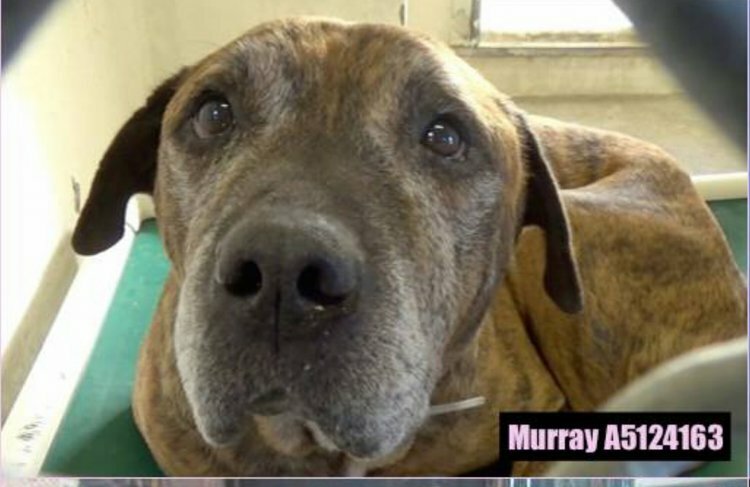 Murray was in deadly Carson Shelter and scheduled to be euthanized. Paw Prints in the Sand rescued him so he could live out the rest of his days with love, care and comfort. Sadly, senior pets make up the bulk of the 1.2 million animals that are put to death annually in our nation’s shelter system. This is mainly because they are often deemed “unadoptable”, and the shelters want to make room for younger pets that are typically more desirable and adoptable. In addition to saving more senior pets, Paw Prints in the Sand aims to educate the public on the benefits of adopting a senior pet including the fact they are much mellower; they are typically house-trained, and still they have so much love to give! Paw Prints in the Sand is actively looking for hospice care fosters in Southern California under the Murray’s Purpose Program. The rescue covers all medical costs and provides all food and supplies. For more information on the rescue’s foster program, please visit www.pawprintsinthesand.org/foster. Click here to make a donation or to be a program sponsor. Paw Prints in the Sand Animal Rescue is a non-profit organization dedicated to rescuing, rehoming and rehabilitating abused, abandoned, neglected and stray companion animals. Virtually all donated funds go directly towards the care of the animals. Headquartered in Orange County, California, Paw Prints in the Sand is an all-volunteer, all-foster organization committed to placing animals in loving, responsible, committed forever homes.